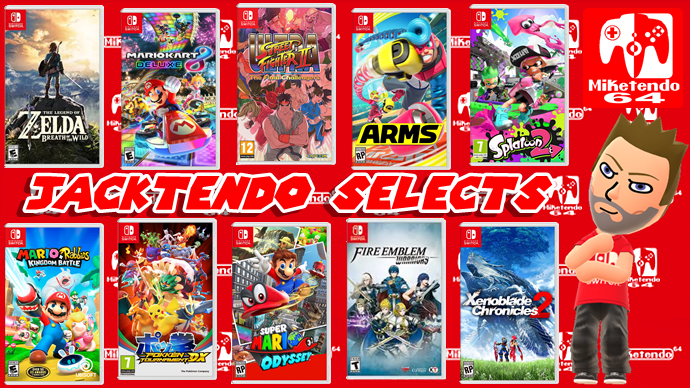 Hello and welcome back to Jacktendo Selects, the monthly Miketendo64 feature where I go into my Top 6 Switch games of the month that just ended, talk about the game I’d happily recommend and the one I’m looking forward to this March! As usual, it’s a pretty odd bunch, but hey, the Bayonetta games are incredible and there was no way in hell I was going to let them sit this list out, but it’s not time to talk about the 6 games that did make it onto my list, it’s time to talk about one that didn’t because it is one I’d happily recommend to any and all willing to give it a try. So, without putting it off any further, February Jacktendo Selects title is none other than Twin Robots: Ultimate Edition! Both Ratalaika Games and Thinice Games had worked hard to improve the game and improve it they did. Twin Robots is now even more of a fun little platformer that is very child-friendly, so if you’re a parent with gamers for children, this is one cheap title you can put their way. Moving on to the game I’m looking forwards to the most, for this month of March, it is none other than the Japanese release of Hyrule Warriors Definitive Edition. I know a Western release date has yet to be revealed, so I probably shouldn’t even be picking it, but it’s Link, so how can I not? I have a huge obsession for the Hyrule Warriors series and once I get the English language supporting version in my hands, I’m going off the grid for a couple of weeks because I will finally have all I need on Switch, great indies, Zelda, Hyrule Warriors and Bayonetta!